Researchers have shown that when the surface of nanoscale silicon is specially cleaned, the surface itself facilitates current flow in thin layers that ordinarily will not conduct. Work on ultracapacitors at MIT's Laboratory for Electromagnetic and Electronic Systems (LEES) holds out the promise of the first technologically significant and economically viable alternative to conventional batteries in more than 200 years. Researchers at Northwestern University are using atom-probe tomography to map the composition of semiconductor nanowires in three dimensions with single-atom sensitivity and sub-nm resolution. Their results establish atom probe tomography as a uniquely powerful tool for analyzing the chemical composition of semiconductor nanostructures. 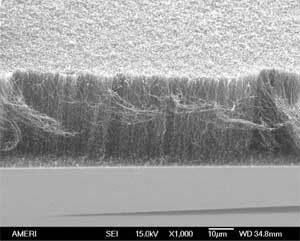 A solar cell, made of titania nanotubes and natural dye, may be the answer to making solar electricity production cost-effective. A new study suggests that integrating nanotubes into traditional materials dramatically improves their ability to reduce vibration, especially at high temperatures. 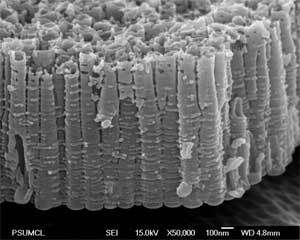 The findings could pave the way for a new class of materials with a multitude of applications, from high performance parts for spacecraft and automobile engines, to golf clubs that do not sting and stereo speakers that do not buzz. A new technique in which single strands of synthetic DNA are used to firmly fasten biological cells to non-biological surfaces has been developed by researchers with the Lawrence Berkeley National Laboratory (Berkeley Lab) and the University of California at Berkeley. This technique holds promise for a wide variety of applications, including biosensors, drug-screening technologies, the growing of artificial tissues and the design of neural networks. Researchers at the University of St Andrews in Scotland have discovered a new material which could lead to significantly more powerful fuel cells than currently available. On January 30, 2006 Arkema inaugurated a carbon nanotube pilot plant at its Lacq Research Center in the Aquitaine region of France. With this unique pilot plant in Europe, operating a patented catalysis process, Arkema is now in a position to produce carbon nanotubes in semi-industrial quantities (up to 10 tonnes per year). Scientists have demonstrated the first reproducible, controllable silicon transistors that are turned on and off by the motion of individual electrons. 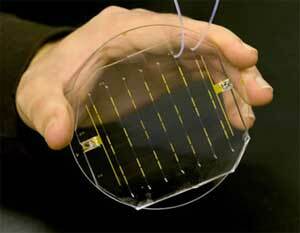 The experimental devices may have applications in low-power nanoelectronics, particularly as next-generation integrated circuits for logic operations. Scientists at the National Institute of Standards and Technology (NIST) have created polymer nanotubes that are unusually long (about 1 centimeter) as well as stable enough to maintain their shape indefinitely. UCLA has developed a new testing method that would help manufacturers monitor and test the safety and health risks of engineered nanomaterials. 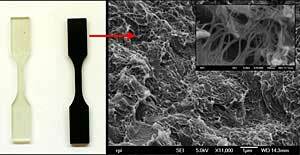 Researchers at the Mechanical and Materials Engineering Department at Florida International University in Miami developed a novel type of working electrode consisting of vertically aligned multiwall carbon nanotubes on a silicon platform. The suggested silicon based CNT working electrode can potentially be integrated with signal processing circuitry and can be part of lab-on-a-chip systems. 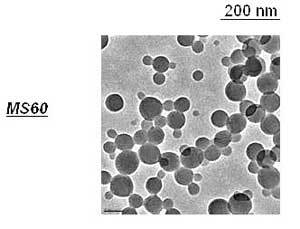 U.S. regulatory framework for Nanotechnology? 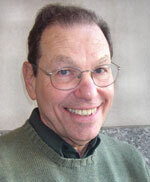 In January 2006, the Project on Emerging Nanotechnologies at the Woodrow Wilson International Center for Scholars released a report by one of the foremost authorities on environmental research and policy, which examines the strengths and weaknesses of the current regulatory framework for nanotechnology and calls for a new approach to nanotechnology oversight. Indocyanine green (ICG), an FDA-approved dye used in a variety of diagnostic applications, has shown promise as a light-activated anticancer agent, but the human body eliminates this molecule so rapidly that little of it accumulates in tumors. To solve this problem, a group of investigators at St. Johns University in New York have created a polymeric nanoparticle formulation of ICG that appears to increase dramatically the amount of dye that remains in the body long enough to accumulate in tissues. 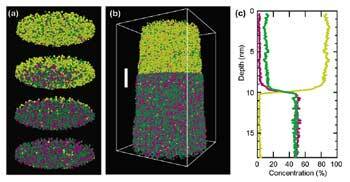 Researchers at UC Berkeley, led by Prof. Alex Zettl, have developed a combination of novel room temperature methods for both aligning and selectively depositing nanotubes onto a topologically benign surface. Using these methods, which can easily be integrated into semiconductor manufacturing processes, they have fabricated arrays of aligned torsional NEMS devices based on MWCNTs.